Whip up a batch of pancakes in no time with this basic pancake recipe. You can adjust it by switching buttermilk in for milk. If you do, add a 1/2 tsp of baking soda to the recipe. You can also add some chopped fruit to the batter. Some chopped pears in fall make a nice addition. If you do this, add a 1/2 tsp of cinnamon to the dry ingredients. 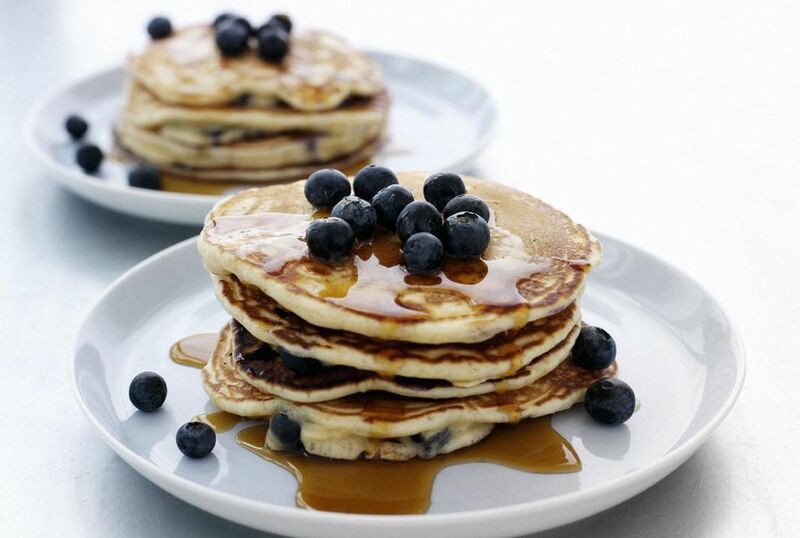 However, if you choose to adapt this basic pancake recipe, if at all, your family will appreciate homemade pancakes over those made from a mix, or heated up from a box of frozen pancakes. Enjoy with a drizzle of good-quality maple syrup. Whisk flour, baking powder, and salt in a large bowl. Whisk egg oil, milk and vanilla extract in a small bowl. Add wet ingredients to dry and stir well. Heat a griddle to 375 F. Pour 1/4 cup batter for each pancake. Cook until bubbles form and the edges appear dry. Then flip and cook for another 1 to 2 minutes.